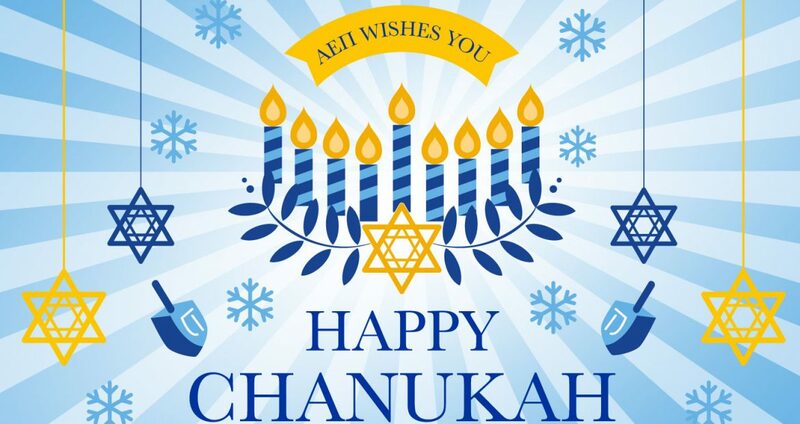 Best wishes to you & your family for a very happy Chanukah! Tonight, we’ll remember the brave Maccabees as they fought against oppression and hate to preserve their Jewish way of life. We honor that story even as we continue their fight to uphold our traditions, honor our past and safeguard our future. May the lights of the menorah for the next eight nights be a light for us all to continue pursuing peace at home, in Israel and throughout the world. We are proud that our brothers play this role on more than 190 campuses across the world and know that, through their dedication and the commitment of alumni to the fraternity, we can continue to light the way. Again, our best to you and your family during this season!